Wondering how to download trove for mac? Well if the answer is yes then read on. 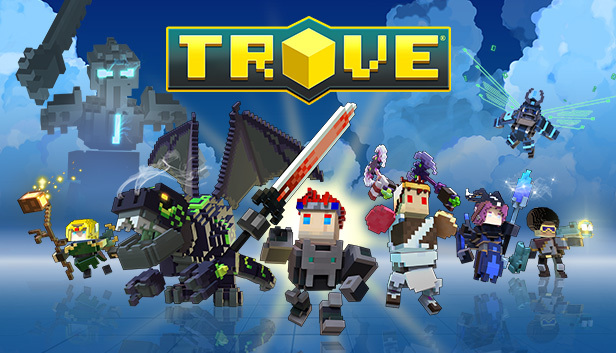 There is no doubt that Trove is one of the massively played multiplayer online role-playing game available out there. The game was published and marketed by Trion Worlds. According to WikiPedia, The game was first released for Microsoft Windows on July 9, 2015, and released for PlayStation 4 and Xbox One on March 14, 2017. Even the arability of Trove for Mac is not a recent thing. In fact, the game was made available for Mac users in the late 2015. The company took their twitter handle to announce that they made Trove available for the Mac users as well. However the question still remains, how to download trove for mac? Well let us answer the question for you. How to download trove for Mac? Step 1: First of all you need to make sure that you have Steam installed on your Mac. You can download steam for mac from the Steam’s official website. Step 2: After that follow all the screen instructions to install the game on your Mac Computer. Step 3: Now launch Steam on your Mac computer and create an account. If you already have a steam account, then you can log in. Step 4: After that search for Trove and click on the Play now button. Or you can use this link for direct access. Step 5: Once installed, you are all set to play the game. So these are the steps that you have to follow to download trove for mac. Now go ahead and try the steps out. Also if you have any questions, then do feel free to leave a comment below.